Born in Cape Town, South Africa, Professor Mandisa Fatyela has over twenty years of experience in the public sector. 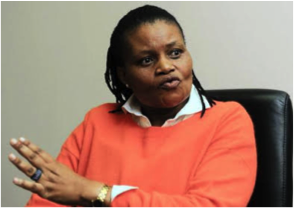 She joined the ANC led Government as a Senior Executive during the time of President Nelson Mandela. She worked as a Director of Constitutional Affairs, responsible for the promotion of the new South African constitution, and worked closely with the newly formed Constitutional Court, as well as the Commission on Gender Equality, South African Human Rights Commission, and civil society formations, schools, universities and state-owned entities. In addition, she worked on the development of a constitutional education television series, aired by the South African Broadcasting Corporation. Professor Fatyela is Trustee of the Independent Development Trust (IDT), which is responsible for the delivery of social infrastructure on behalf of the state throughout South Africa, and a director responsible for Strategic Planning. She worked with the National Department of Public Works as a Senior Executive, head of its Policy and Regulation Division, and as its Acting Director-General. She has an MA in Sociology from the University of Concordia, Montreal, and is currently pursuing an MA in Development Policy and Practice at the University of Cape Town.